1972 Lancia Fulvia Sport Zagato - Zagato has always created bizarrely beautiful cars. This is one of the best. This is just a gorgeous car. 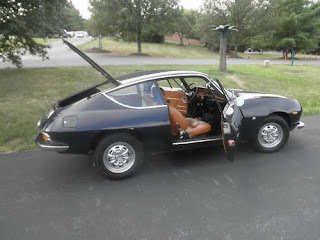 If I had the extra cash and storage space, I'd buy this car in a heartbeat. Located in Potomoc, MD, click here to see the eBay listing. 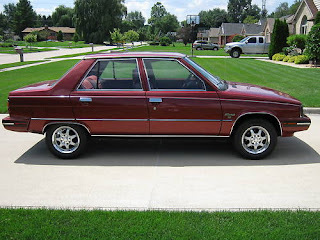 1983 AMC Renault Alliance DL - Huh? How? Why? This is the very first Renault Alliance built. It has just 375 miles on it. If there is ever a museum for "good ideas that just didn't pan out", the Renault Alliance deserves a space in it. Front and center. I love Renaults. I love historic cars. This is both. So why am I not excited about this car? Maybe because it's an Alliance. It's a Renault 9 that lost it's "Frenchness" when it crossed the Atlantic. The asking price for this car is $11,111.11. If you want an extremely low mileage car, one that really is a piece of history, that seems like a reasonable price. Located in Shelby Township, MI, click here to see the eBay listing. 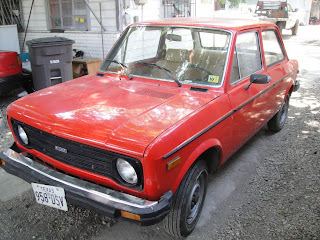 1978 Fiat 128 - I saw this car awhile ago and thought about posting it, but I was pretty certain that the claim of 8000 miles wasn't true. But the more I look at this car, the more I think that could be the correct mileage. If you look closely, the car really doesn't have much rot. It has rust, but much of it is surface rust, like you'd find on any car that has been improperly stored for a long period of time. The pedals don't look worn nor does the interior. (Except for what looks like an area where a rodent or something chewed through a seat.) The front right fender is loaded with Bondo, but there are some dents down the same side, so I'm wondering if that's covering accident damage and not rust. It's a tough call. Located in San Antonio, TX, click here to see the eBay listing.